BIRMINGHAM, Ala., April 21, 2018 - Kris Wright made a statement at Barber Motorsports Park that he is a title contender in the IMSA Prototype Challenge Presented by Mazda championship. Leading all but one practice session on the weekend and starting the race from the pole, Wright and new co-driver Yann Clairay, a Frenchman making his IMSA debut, continued to dominate Saturday in the No. 30 Extreme Speed Motorsports Ligier JS P3. They only lost the lead briefly on a cycle of green flag pit stops and handily won the one hour, 45 minute race by 34.603 seconds. 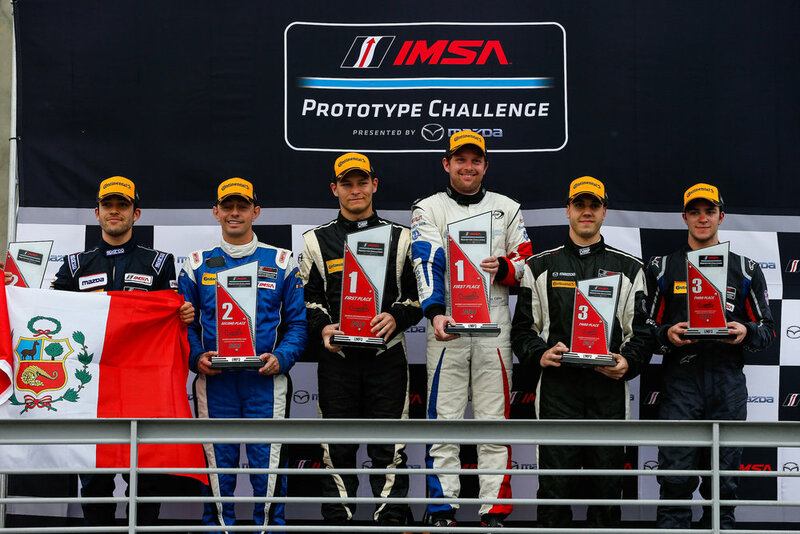 The win unofficially moves Wright into the Prototype Challenge class series points lead at the halfway point of the season. It was the third consecutive podium finish for Wright, who finished third at both Daytona International Speedway and Sebring International Raceway with two different co-drivers. Barber was the first race paired with Clairay, a 34-year-old driver who finished second in the 24 Hours of Le Mans in the GT1 class in 2009. The Barber race will be televised on May 10 at 9:30 p.m. ET on FS2. Round 4 for the series will take place at Canadian Tire Motorsport Park as part of the Mobil 1 SportsCar Grand Prix race weekend that also will feature the IMSA WeatherTech SportsCar Championship and IMSA Continental Tire SportsCar Challenge.